Special Storytime: Grace Lin - Kidtivity.com - Family Fun in Greater Connecticut! Little Star loves the delicious Mooncake that she bakes with her mama. But she’s not supposed to eat any yet! What happens when she can’t resist a nibble? 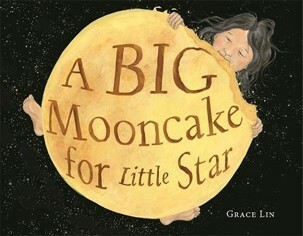 Join Newbery Honor author Grace Lin as she reads from her new picture book A Big Mooncake for Little Star, a heartwarming original story that explains phases of the moon.